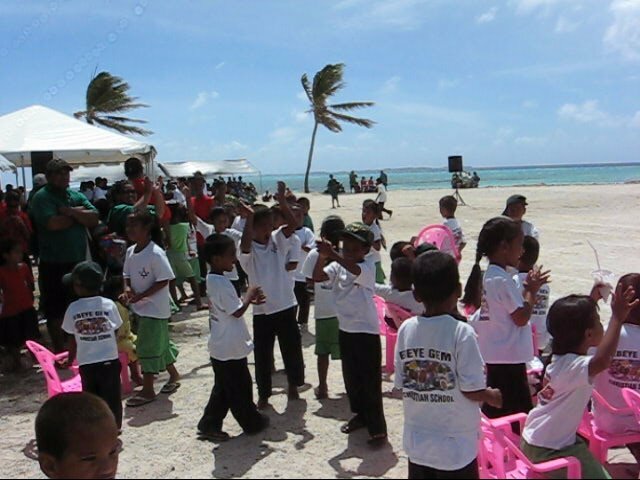 We celebrated the Marshall Islands Memorial Day in early February. 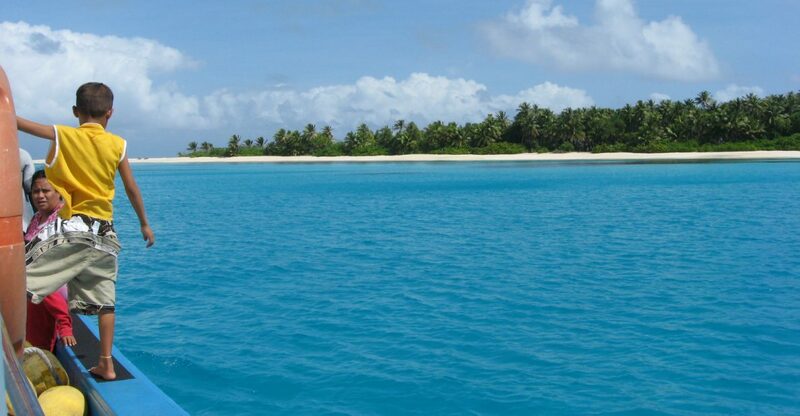 It was when the U.S. finally liberated the islands from Japanese control during WWII. Usually they have several speakers that talk for around three hours but that night the rain poured continuously and they wrapped up the festivities in about an hour. I was thankful! I’ve read on other blogs from last year that it is usually incredibly hot and the speeches are long. God is good. Our line to the Memorial Speakers Conference on a rainy Tuesday night. 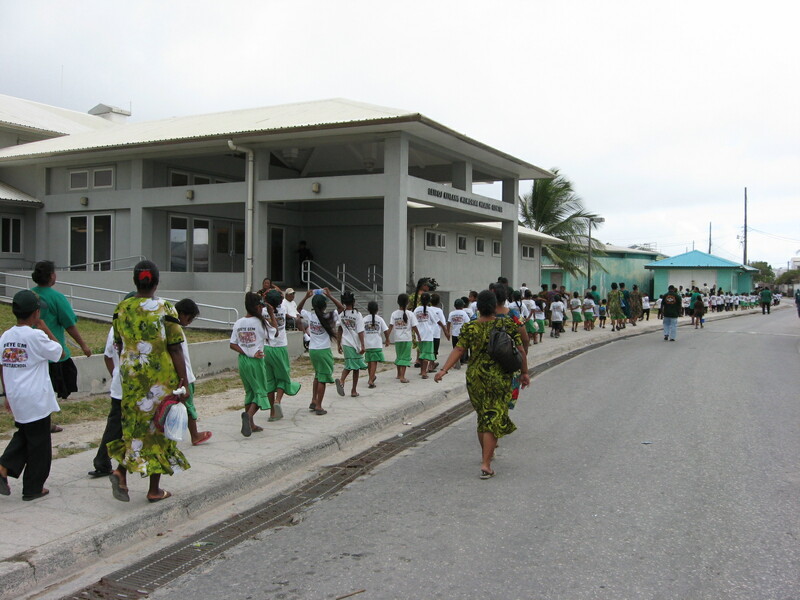 The building on the left is the Ebeye Medical Center. The following day was beautiful! It was the day that all the schools came together at Beach Park and they continue the Memorial Day festivities with food, activities and races for each grade. We had grades K-4 which competed against all the other schools on the island, girls and boys respectively. In the pink shorts, Sarah burning it up for the win in the girls Third Grade Competition. Ebeye Gem won nearly all First Place prizes, some Second and only a few didn’t place. 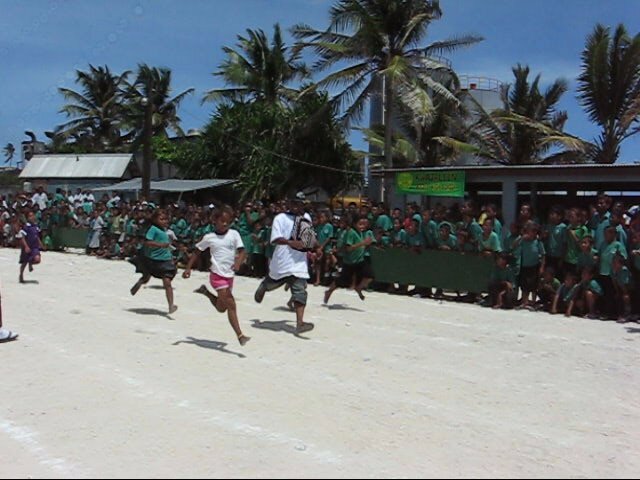 The whole day it seemed the announcer was calling out “Ebeye Gem School!” It was awesome – our kids are blessed! And I mean that in every way. All First Place winners walk away with a certificate and $20, Second Place $15, and Third Place $10. The kids were racking up, and praise God for that! Gem School applauding another win. There was also a race for the adults that spanned from Guggegue to Ebeye (I’m not sure how many miles that is but by truck it takes about forty minutes at fifteen miles per hour. Anyway, our courageous missionary Nyasha Nyemba signed up and ran the race. He came in twelfth place! We were all very proud of him and of all our students whether they won or not. They are all dear to our hearts. leaving my homeland was sad I am not an a american person I am a Ebeye person I wish a lot of good lucks and hope the land is safe let pray to not let the ocean hit peoples home. I always wanted to be the mayor or president.